Blue Water Divers, a PADI 5 Star dive facility, is located on the hotel property and picks up divers directly on the Osprey Beach in Carolina Skiffs with 6-8 divers max. Grand Turk Diving Company, a NAUI affiliated shop, picks up on the beach right next to the Osprey Beach Hotel in Carolina Skiffs with up to 12 divers. Oasis Divers are located only a 3-4 minute stroll along picturesque Duke Street, and they pick up on the beach in front of their dive shop. They also primarily use Carolina Skiffs but have larger boats for their larger groups. There's a reason why dive groups keep returning to Osprey Beach Hotel each year. We like to think it's the friendly people, comfortable rooms, delicious food, and convenient dive boat pickups right in front of the hotel. 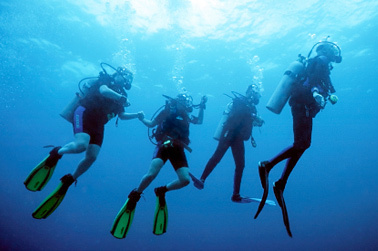 Then again, it could also be the amazing diving experiences that keep everyone talking around the bar. 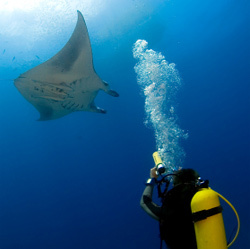 Contact us for special dive resort rates for groups of 10 people or more. "Grand Turk is still one of my favorite spots and I have been coming back for 17 years. 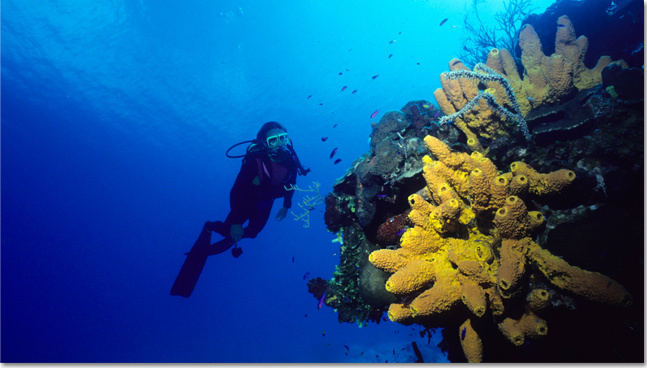 You can dive shallow or deep and there are practically no currents. Dive sites are 15 minutes away by boat; can't beat that. The reef and walls are incredibly healthy. You'll see hawksbill turtles on a regular basis. Eagle rays make appearances, as does the occasional manta. Tons of tropical fish of all varieties, including spotted drum, trigger fish, angel fish, every blenny you can think of, etc. 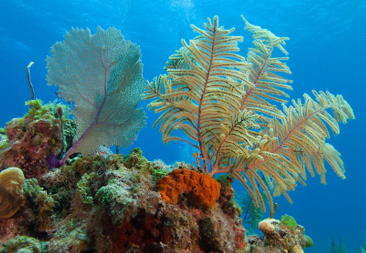 I also recommend doing at least one night dive to see the orange cup coral in bloom. I had the once-in-a-lifetime experience to do a backroll off the dive boat during a surface interval and snorkel with 15-17 dolphins — including an infant that had to have been less than three feet long – maybe a few weeks old at that. Pure magic."